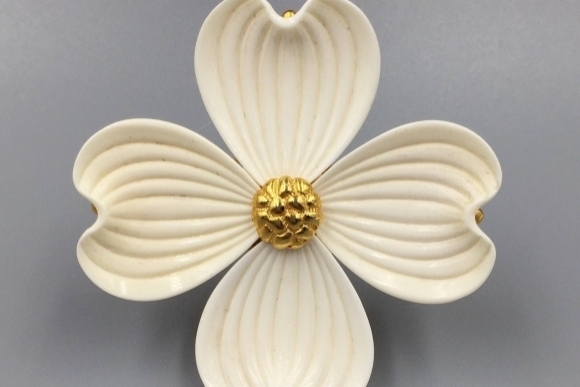 This vintage dogwood flower brooch from Monet, is like carrying springtime with you! 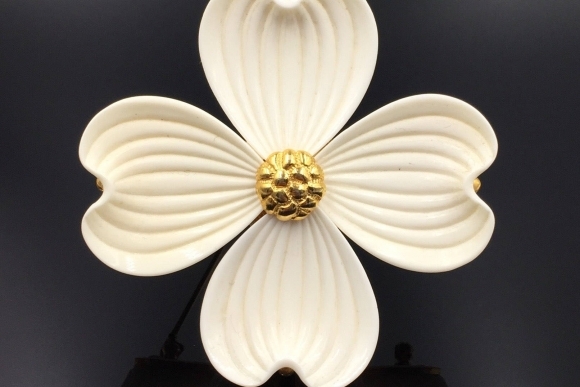 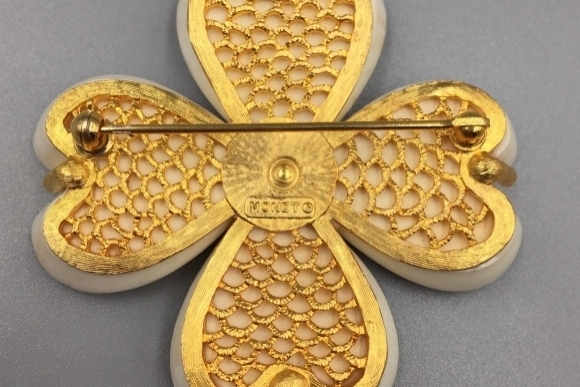 Designed using molded Lucite with gold plated details. 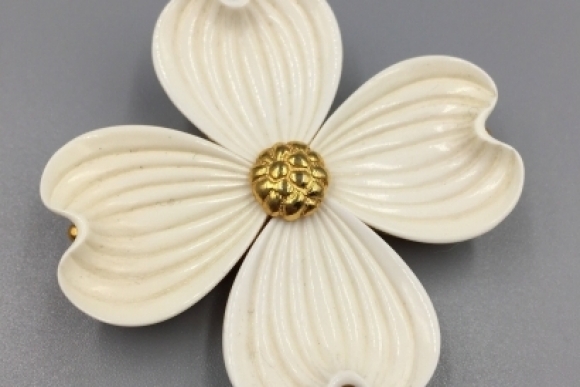 This is a beautiful vintage flower, and will add vintage beauty to your wardrobe! 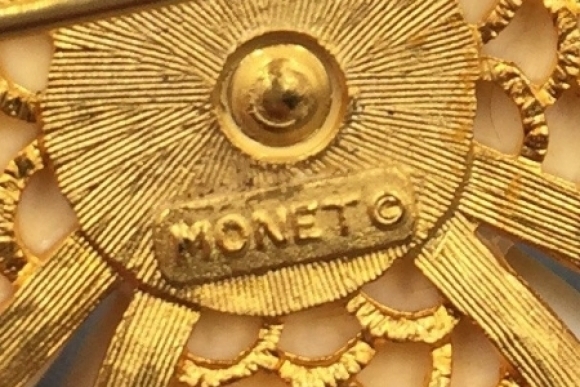 Measures 2 1/4 x 2 1/4.